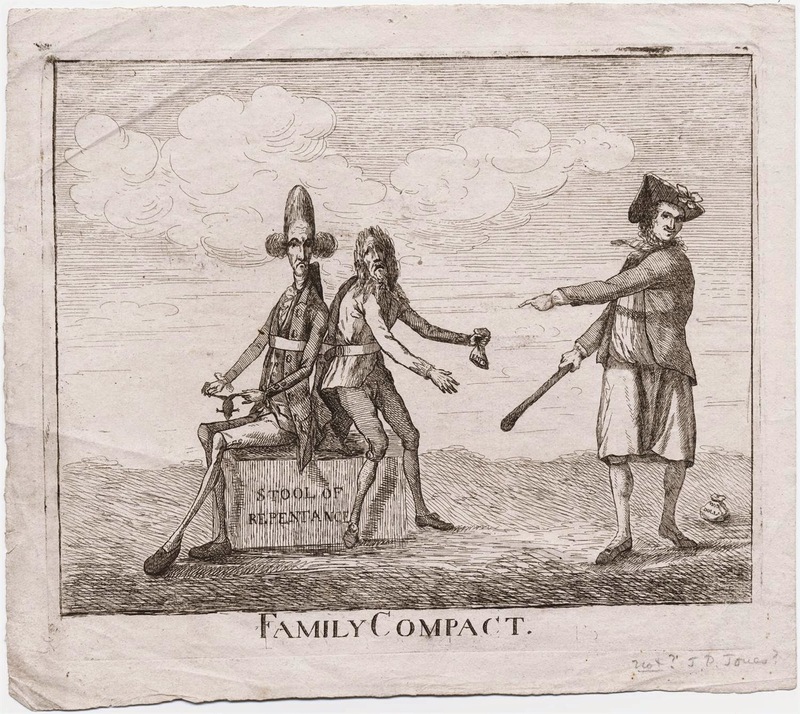 Family Compact, artist unknown, 1778, Walpole Library. Lampooning the alliance between the French and Spanish during the American Revolutionary War, the artist depicts caricatures of France and Spain bound unhappily together. They sit on the "Stool of Repentance" with sour looks, under the guard of the familiar metaphor for Britain on the world scene: Jack Tar. He wears a reversed cocked hat trimmed with white tape and bearing a large cockade. At his neck is a striped neckcloth, tied well above the collar of his plain white shirt. 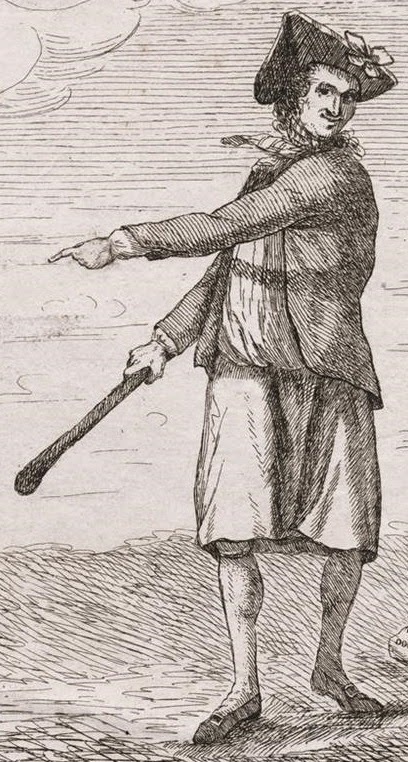 Though he wears no waistcoat, this tarpawlin wears a typical short jacket without pockets, and bearing open mariner's cuffs with cloth covered buttons. His slops are plain, and end right at the knees, allowing us a peek at his breeches. White stockings fit into round toed shoes with rectangular buckles. Unsurprisingly, he holds a cudgel or walking stick.